Hugh Jackman stars at P.T. 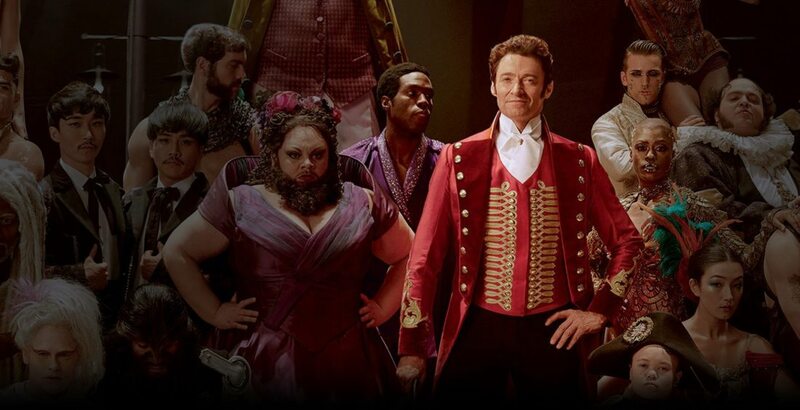 Barnum in the movie musical “The Greatest Showman” showing Saturday at 8 p.m. at the Reg Lenna Center for The Arts. song, “This Is Me” was nominated for Best Original Song at this year’s Academy Awards. The movie is inspired by the ambition and imagination of P.T. Barnum, directed by Michael Gracey, with songs by Academy Award winners Benji Pasek and Justin Paul (“La La Land”) and starring Academy Award nominee Hugh Jackman. Jackman is joined by Academy Award nominee Michelle Williams, Zendaya, Zac Efron and Rebecca Ferguson. The Greatest Showman is rated PG and is 106 minutes long. Due to construction at The Reg Lenna Center for the Arts, a temporary box office location is open at 215 Spring St. between Third and Second streets and the entrance to the theater is next door. The box office is open between 10 a.m. and 5 p.m. Tuesday through Friday and 10 a.m. and 2 p.m. Saturday. The temporary theater entrance will be open one hour prior to movies and events, at which time tickets will be available in the box office. Upcoming movies include the family comedy Paddington 2 showing Friday, April 13, at 7 p.m. and as a sensory friendly showing Saturday, April 14, at 2 p.m., the Academy Award winning Best Foreign Language film A Fantastic Woman showing Wednesday, April 18, at 7 p.m., Helen Mirren in the ghostly thriller Winchester showing Saturday, April 21, at 8 p.m. and Charlize Theron (“Mad Max: Fury Road”) and David Oyelowo (“Selma”) in the crime comedy “Gringo” showing Wednesday, April 25, at 7 p.m.
Tickets may be purchased at box office locations during the times listed above, over the phone at 484-7070 or online at reglenna.com.